Matterhorn PR is not your typical PR agency; we are leaders at public relations representation within an overall business and marketing structure. 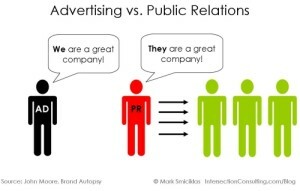 We are marketers first – public relations is just one tool. Matterhorn PR started shortly after David Howse and Bill Borger Jr. worked together on Bill’s $600,000 Calgary Handi-Bus fundraiser / Mount Everest Expedition of May 2011. This collaboration began in November of 2010 and saw Bill become the first-Canadian-ever (fifth-ever in the world) to have both swum the English Channel and to have climbed Mt. Everest. Not only was over $500,000 raised for the Calgary Handi-Bus but together Bill and David created a blueprint for public relations management, strategies, and tactics. This blueprint has since been used for MANY of our clients. The testimony to this venture is that Bill and David now share a strong friendship and regularly meet to discuss business strategies for Borger Group of Companies and for David Howse Marketing. We do public relations in Calgary and around the world! the fifth person ever & first Canadian to have swum the English Channel and climb Mount Everest. "David Howse – Matterhorn PR – its been a blast – as a friend and a media guru I appreciate your catering to my stylings and exposure allowances and never letting the media set the pace." Vice President, Private Client Group at Fisher Investments. "David Howse is a Marketing Rock Star! I had an important project, the 100for100.me campaign, that needed not only a marketing expert but someone who could take all the assets of the campaign and put a plan behind them, implement a strategy, and finally work with me to take care all the tactical aspects – and all in 14 days!" "With a very tight window between our initial meeting and the day of our media event, David was critical inattracting attention within the Calgary media (and beyond) . In addition, his assistance before, during and after theevent was professional, timely, and comprehensive. Our media event was a great success as a result." Almost everyone has heard of Mount Everest but if a photo of Everest was in a random line-up of other mountain photos very few would be able to pick it out. Unlike Everest, The Matterhorn is easily the most recognizable mountain but it is only a small fraction the size of Everest. Sometimes you can’t compete head-on with number one and in those cases you need a good strategy to maximize what you do have. Inspired HR partners with Sheryl Sandberg’s Lean In foundation and the NBA/WNBA to bring #LeanIn Together to Canada. CALGARY AB (March 5, 2015) – Calgary HR company, Inspired HR is excited to announce that we have partnered with LeanIn.Org and the NBA/WNBA to bring #LeanInTogether to Canada. Lean In Together is focused on men and their important role in reaching equality. Read more on #LeaninTogether in Canada.#LeaninTogether in Canada. Welcome to Matterhorn PR, a Calgary-based PR firm with a global reach. If you are a member of the media and are looking for information on one of our clients, click on his or her name on the above menu. If you can’t find what you are looking for please call 403-991-8863. Definition of PR. Here’s a little more about public relations Forbes on PR. News agencies broker stories and can help get you published Thomson Reuters. The Associated Press is probably the most important news service AP. There are many companies that support public relations efforts such as PR News Wire but many of them are not worth the fees. Results tend to be poor.